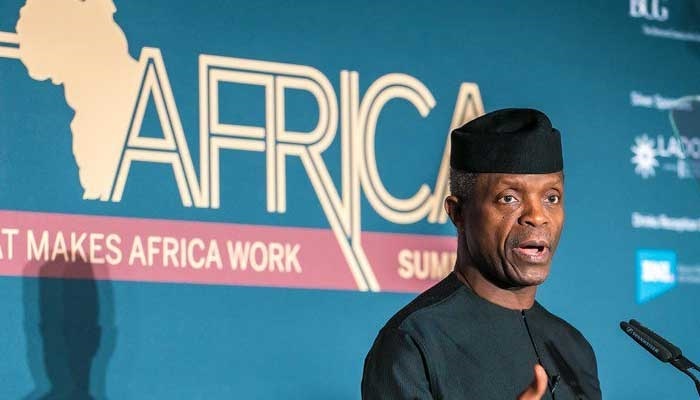 The Vice President has accused G8 and G20 countries of converting stolen funds into properties, trusts, humongous bank accounts and other arrangements designed to cover ownership of assets. Vice President Yemi Osinbajo (SAN) is not happy that despite efforts by the federal government to stem corruption in the country, some developed countries such as US, France and Germany are giving protection to corrupt politicians and stashing the proceeds of their embezzlement in their countries. Osinbajo said besides hiding under their laws of corporate secrecy, stolen funds are converted into properties, trusts, humongous bank accounts and other arrangements designed to cover ownership of assets, or treated in anonymity. He stated this at the opening ceremony of the Inter-Governmental Action Group against Money Laundering in West Africa (GIABA) 18th Ministerial Committee meeting, held in Abuja yesterday. He said despite numerous mutual legal assistance treaties and conventions entered into with the U.S. and other G8 and G20 countries, they still install stiff obstacles to frustrate the repatriation of stolen funds stashed in bank accounts in their countries. The vice president further asserted that it was inconceivable the sort of experience the governments of less developed countries go through and the degrading conditions they are subjected to even when such funds are to be returned.